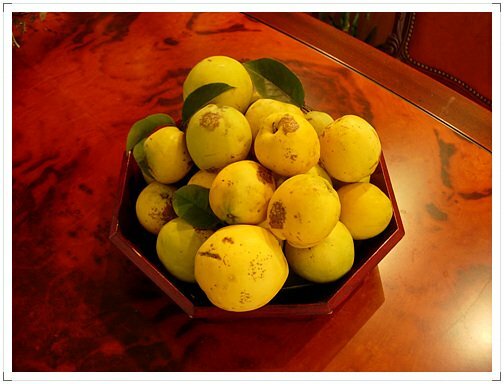 Another portent that winter is approaching is the appearance of the oriental quince, mo-ghwa (모과). Unlike the quince found in parts of Europe and North Africa where its uses, depending on climate and hence proportions, span from making jams and jelly to a substitute potato, the oriental quince is mostly used in oriental medicine and as tea. 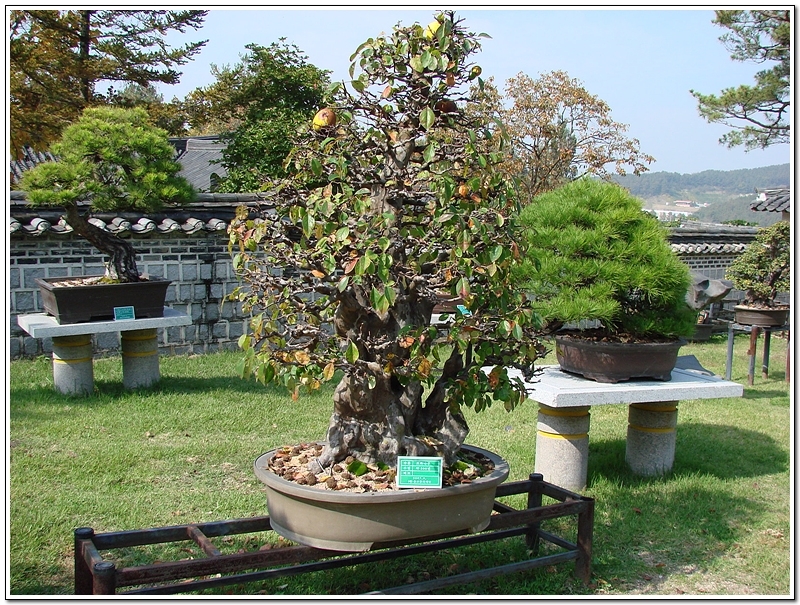 However, the mo-ghwa’s predominant use is as an ornamental air freshener. Don’t expect wonders! It won’t clear the smell of fried mackerel or unpleasant toilet odours and neither is one potent enough to scent an entire room but for scenting corners or enclosed spaces, a car being ideal, they are successful. I have one sitting on my desk and it subtly scents that corner of my room. Moghwa have a very waxy skin in which the scent is contained and they sort of look quite attractive. 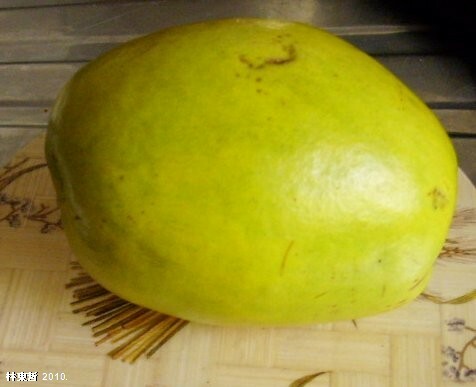 The scent is similar to that of a fruity apple. The cost varys from about a 1000 won upwards and ideally you should buy one unblemished as these will last well into spring. Supermarkets often sell them in a small basket. At this time of year one can see many trees bearing fruits, dae-ch’u, unhaeng (ginkgo), persimmon and Asian pears, for example. 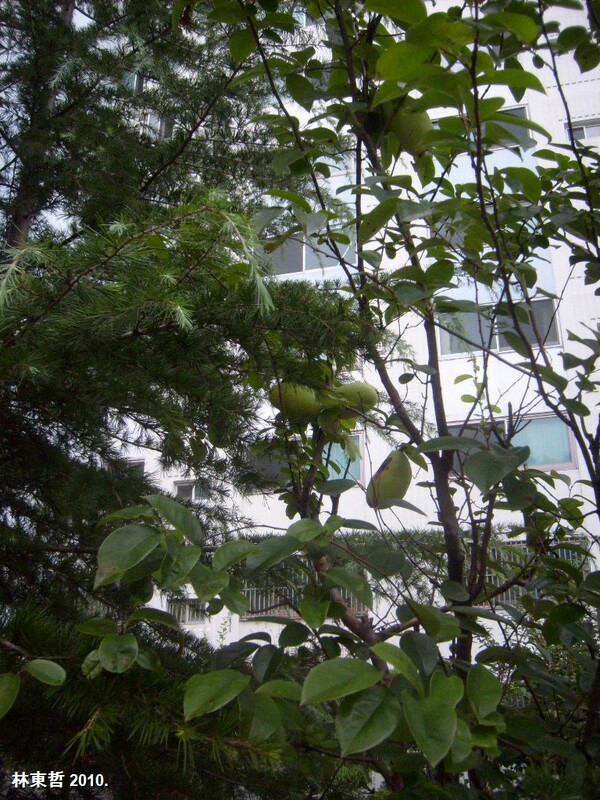 However, it is illegal to pick fruits from any tree on sidewalks or parks as the trees are not public property. When buying one, especially from street vendors where they are much cheaper, avoid ones with blemishes or other forms of damage. A good moghwa will last the entire winter and into spring but a badly chosen one can be brown and rotted within a few weeks!